Our property has 9 villas, and 2 pools. 1 pool for adults, and 1 children's pool. 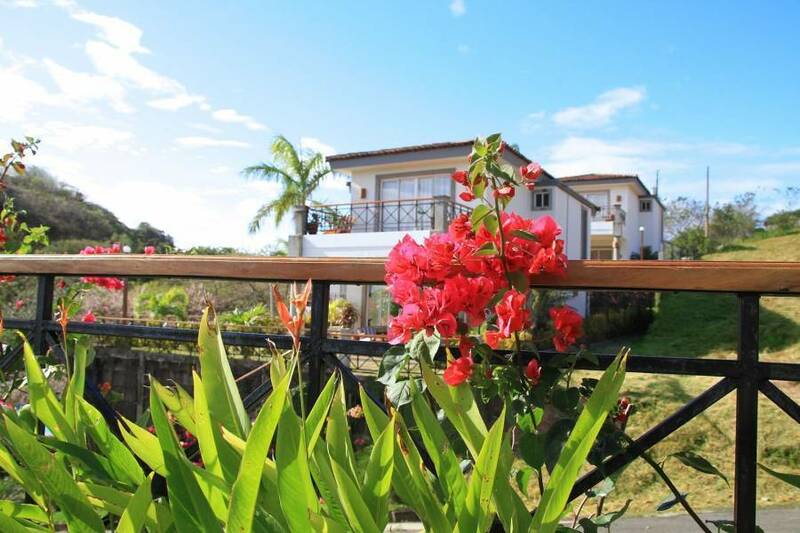 Each villa is made up of 2 floors, and each one feature 3 bedrooms, 2. 5 bathrooms, living room, dining room, and kitchen. The check in time is at 03:00 pm, the time of check out is at 01:00 pm. To confirm and guarantee a reservation is requested information from a credit card to charge the first night, or it can be guaranteed by a deposit or bank transfer. 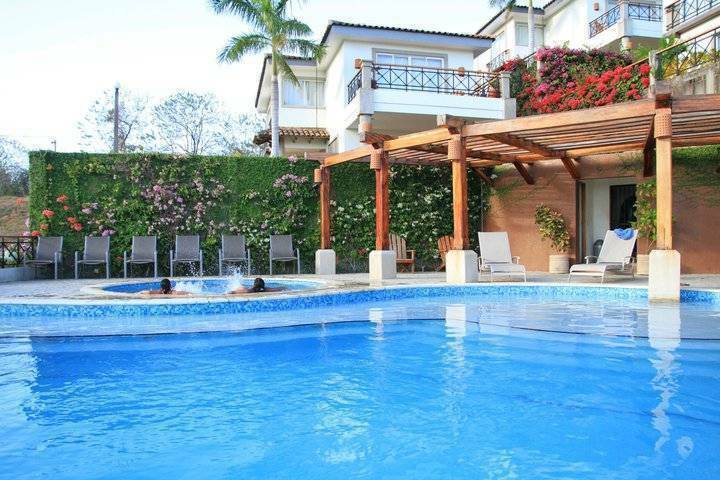 The pools are open from 07:00 am to 10:00 pm every day for the exclusive use of guests at Bahia del Sol Villas & Condominiums. For washing dishes in the kitchen, the maid gives you this service once in the day, and extra dish-washings will be added to your bill at $ 5. 00 each time you request it. For more information or assistance, please contact us by phone or via email. 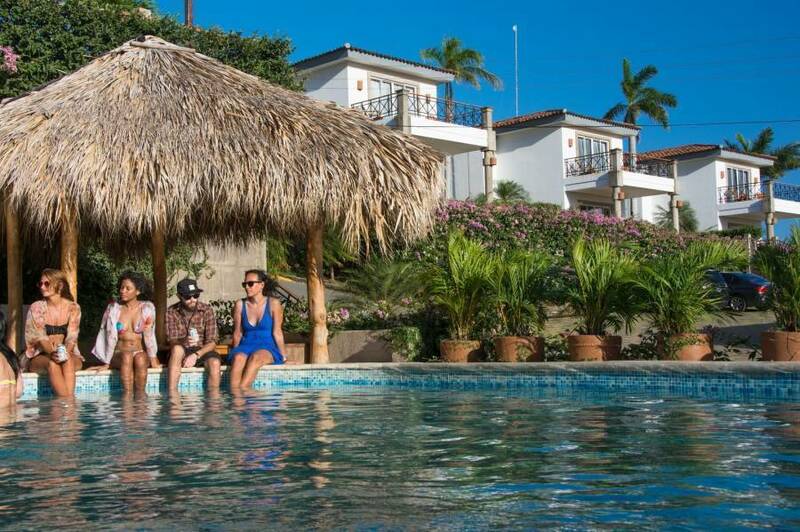 Bahia del Sol Villas & Condominiums is located behind La Talanguera neighborhood on a hillside, from the Mayor's Office or the Civic Centre 2. 5 kms north on the right side of the dirt road that goes to the Chocolata. Another reference on how to get to Bahia del Sol is that after crossing the hanging wooden bridge that crosses the estuary of San Juan del Sur keep going for 700 meters north and to the right there is a green large placard that reads WELCOME TO HOTEL BAHIA DEL SOL VILLAS & CONDOMINIUMS. •	Rates are per villa, per night for 6 pax. Six guests are included in the cost of each accommodation. Each additional adult will be charged US $30 plus tax per night (children 3 -12 years old, US $10 plus tax per night). There is no charge for children under 3 years old. Children for 3 years old and up are included in rates. •	Rates do not include 15% tax and 2% Intur Tax. •	Rates are subject to change. •	Easter week minimum of 4 nights stay. •	Christmas and New Year minimum of 5 nights stay. 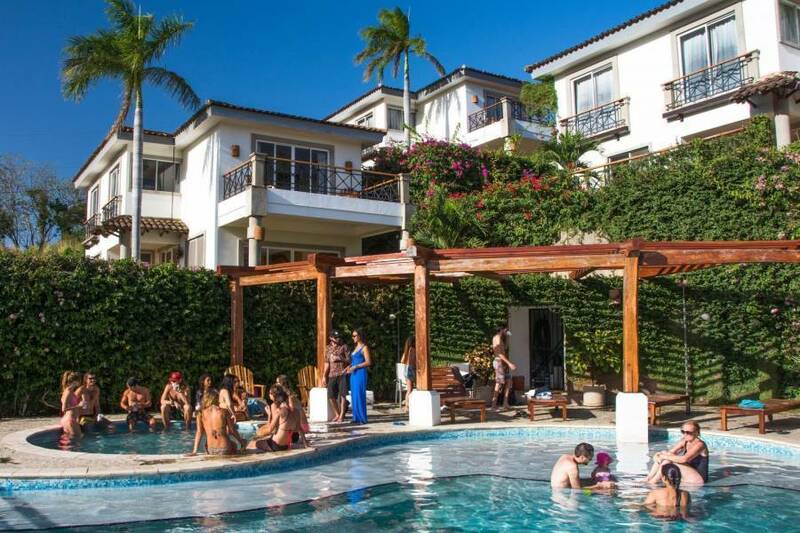 •	Prepayment: Due to Bahia del Sol is a small hotel size prepayment is necessary. A deposit of one night is required at the time of making your reservation and to guarantee the villa space. 6 weeks (40 days) prior to the arrival date at Bahia del Sol, total amount of the reservation needs to be prepaid. •	Cancellations made more than 25 days prior to arrival will charge US $100 fee. •	Cancellations made within 25 days of arrival will charge a 30% penalty on the TOTAL VALUE of the reservation. •	Cancellations made within 7 days of arrival will cost 100% on the total value of the reservations. •	No shows will be charged 100% of costs. . No-shows and early departures are considered cancellation. •	Some Special Rate reservations are charged immediately and are non-changeable and non-refundable. 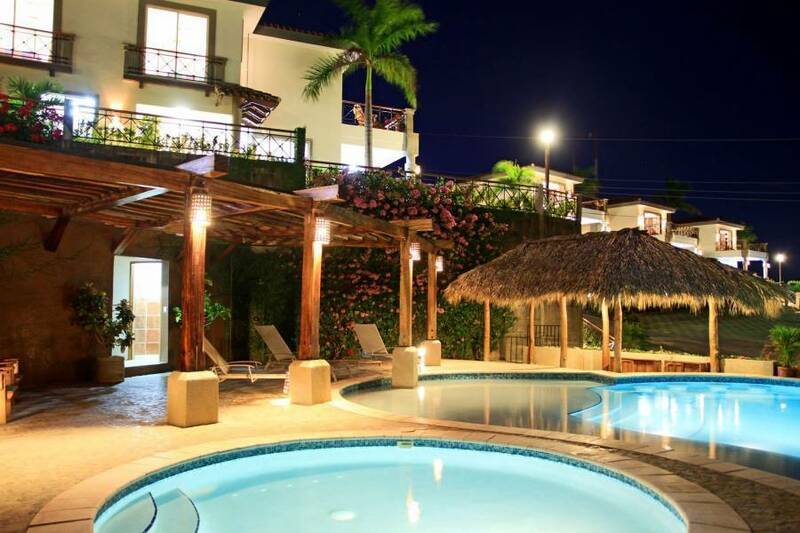 Bahia del Sol Villas & Condominiums is located behind La Talanguera neighborhood, from the Mayor's Office or the Civic Centre 2. 5 kms north on the right side of the dirt road that goes to the Chocolata. Another reference on how to get to Bahia del Sol is that after crossing the hanging wooden bridge that crosses the estuary of San Juan del Sur keep going for 700 meters north and to the right there is a green large placard that reads WELCOME TO HOTEL BAHIA DEL SOL VILLAS & CONDOMINIUMS. Augusto Cesar Sandino International Airport of Managua, Nicaragua. Private Taxis from the airport.